Eleven thousand employees have been invited to pilot test the new TMN Wallet, a mobile payments service that enables transactions to be made via NFC, SMS, USSD or QR Codes and runs on any mobile phone. 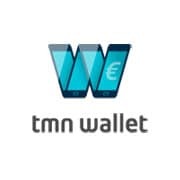 Portugal Telecom (PT) has begun a three month pilot test of TMN Wallet, a mobile payments service that makes use of a range of technologies to enable transactions to be made using any mobile phone. The pilot is open to any of Portugal Telecom’s 11,000 staff and is taking place at the telecoms operator’s offices on Avenida Fontes Pereira de Melo and Avenida Alvaro Pais in Lisbon as well as PT Innovation’s base in the city of Aveiro. The aim of the pilot, says PT, is to assess, with a diverse user base, the usability of the service and its technical reliability as well as to discover how mobile payments affect purchasing habits. By tapping an NFC phone to a contactless merchant terminal and entering a PIN. Via SMS, by texting “pay” to a free SMS number to receive a code that can be entered on a merchant terminal. Via USSD, by entering a code generated by the merchant terminal on the phone. Via QR code, by opening the TMN Wallet app and then taking a picture of a 2D barcode displayed by the merchant terminal. A transaction history and current prepaid balance can be viewed by users at any time, from their phone or via the TMN Wallet website. A range of merchants and vending machines serving PT’s offices have been equipped to accept payments via TMN Wallet for the trial and both Huawei and Incard have been involved in delivering NFC technology for the pilot. Google to share NFC revenues?